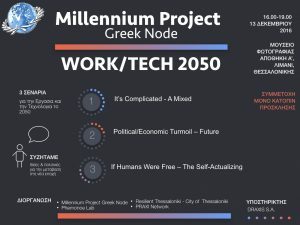 The Millennium Project has created three alternative scenarios as input to national workshops to explore potential strategies to address the issues raised in these scenarios. 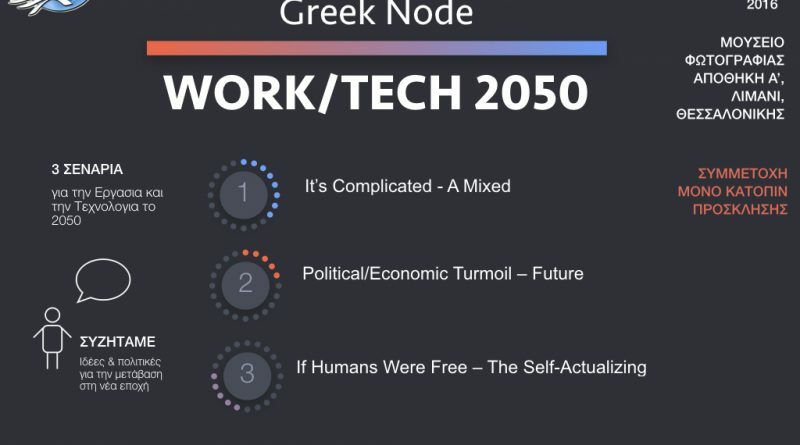 In the context of the global study, the Greek Node of the Millennium Project is organising the Greek workshop in Thessaloniki (13 December 2016) aiming to discuss the side effects for Greece and elaborate ideas/policies for a sustainable future. 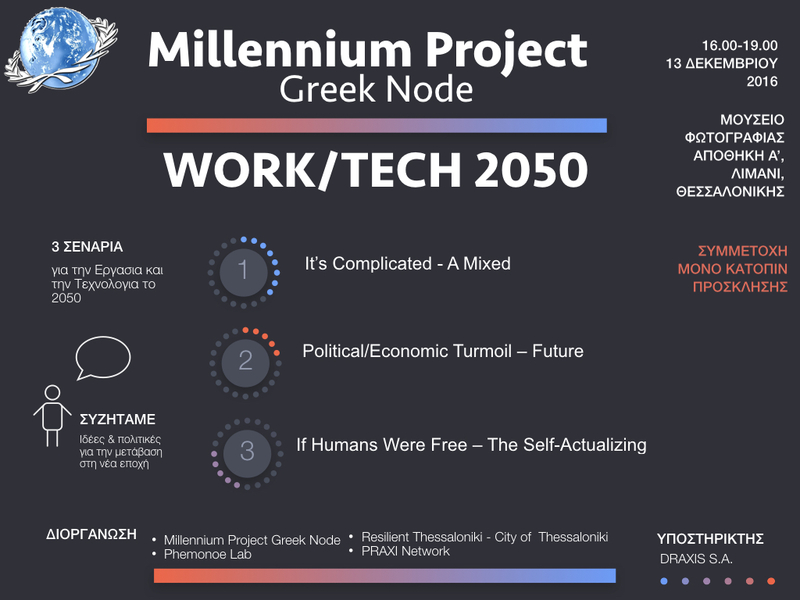 The Thessaloniki event is jointly organised by, the Greek Node of the Millennium Project, Phemonoe Lab, Resilient Thessaloniki (City of Thessaloniki), PRAXI Network, and proudly sponsored by DRAXIS S.A.